A gift is just the start! You have probably heard the term “ladder of engagement” before. It is a very sophisticated way to steward major donors. I often experience thinking in the real world that runs against the idea of getting a donor more involved. Some charity managers worry about “bothering” donors too much. Some prefer to lay low and not rock the boat, so as not to jeopardize the gift in any way. Then they come blazing back a year later with a re-ask, after months of almost no contact. If your charity is guilty of this, try your best to talk them out of it! It may seem counter-intuitive to continue to ask the donor to do things after she’s already made a big gift, but in fact it works to solidify her commitment to your organization. 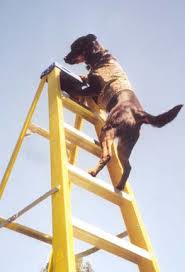 Google “ladder of engagement” and you’ll get a million samples. One I found on Forbes.com uses the following terms, described here in ascending order of awesomeness. “Spreaders” – This is the stage where the donor really starts trusting your organization. You’ve probably done some great stewardship of her gift(s) and won her trust and loyalty. At this point, you might ask her to introduce you to other generous, like-minded people she knows that may be prospects for your organization. Maybe the donor is doing this already! It makes for an excellent conversational topic at your next meeting. “Evangelists” – The evangelist stage is where the donor may begin to make asks on your behalf. She may become an integral part of the development team or just an occasional participant in key meetings. She is probably already talking you up to friends and colleagues and has turned into an informal ambassador for your organization and its mission. Yay! “Instigators” – You’re probably getting the hang of the ladder now. This stage is really the point when the donor is so connected that she may become involved in operational initiatives. She may suggest and lead a special campaign. She may work as a leadership volunteer or even join the board as a director or member of a committee. Not every donor will get all the way to the top of the ladder, and we’re not just talking about major gift donors here either! However, it should be the fundraiser’s goal to at least explore the possibility that they may want to move past the “money” stage. In this way, I hope you can see that there’s much more potential to stewarding a donor than just sending an annual report each year.